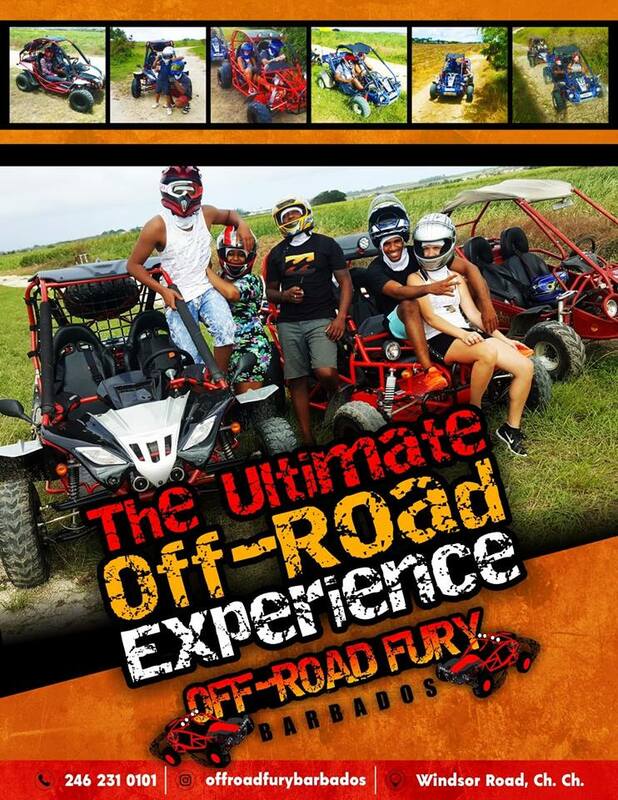 At Off Road Fury Barbados we offer the ultimate Off Road Go Kart Experience which is an adventurous, fun, exciting and safe tourism activity. 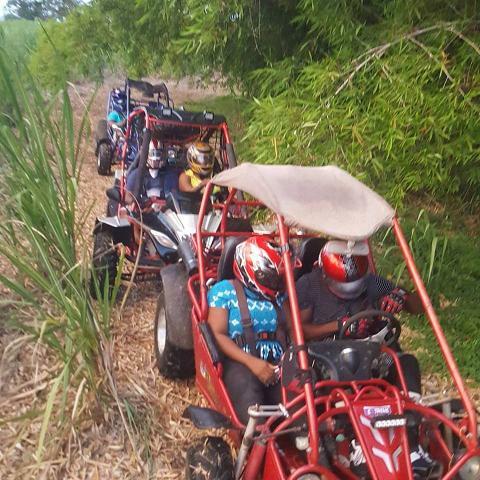 Our guided tours takes you through the Country Side of Barbados along various terrains including:- Mudd and Dirt Tracks, Kart Roads, Hills and Inclines, Between Trees and Bushy Areas, Stretches of Marl Roads and Dirt Roads ect. 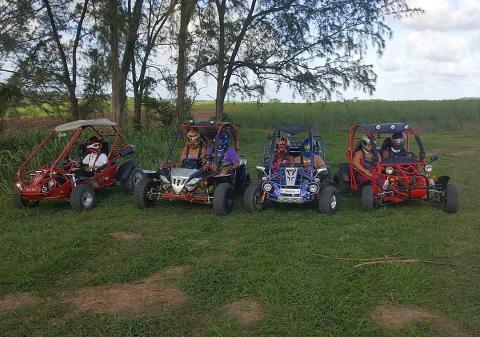 Offering an adventurous, fun, exciting and safe Off Road experience while enjoying the wonderful view of the country side and many of the indigenous Cane fields of Barbados where you are guided and accompanied by our experienced tour guides and operators. Our Buggy’s do NOT have any similarities with ATV vehicles or Motor Cycles and do NOT carry the risk that such vehicles are associated with. All Buggy’s are equipped with mud guards for added safety from debris. All persons must sign a liability waiver before going on tour. All participants are briefed on all safety rules and regulations by our tour guides and operators before each tour. Safety Gear for all users of our Buggy’s, which includes Helmets, Safety Goggles, Eye Safety Glasses, Balaclava and Gloves. Our Buggy’s ONLY operate in safe environments away from all moving traffic and pedestrians. We DO NOT operate on public roads or areas where motor vehicles travel on a daily basis. 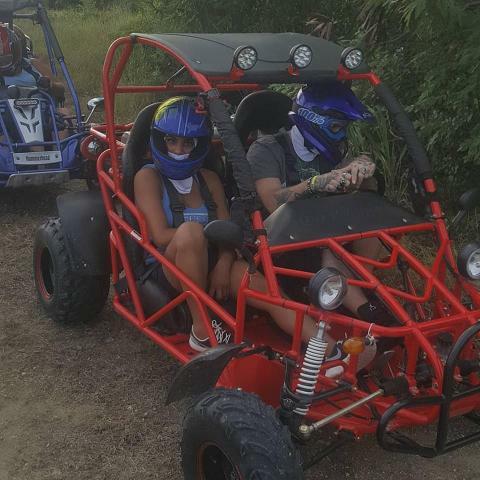 There must be a minimum of two (2) karts booked to engage an Off Road Tour. Children ages 6 to 16 are allowed to go out on tour accompanied by a parent or guardian. We require the drivers of the go karts to have a driver’s license or an active learner’s permit which will give us an indication that they have driving experience.